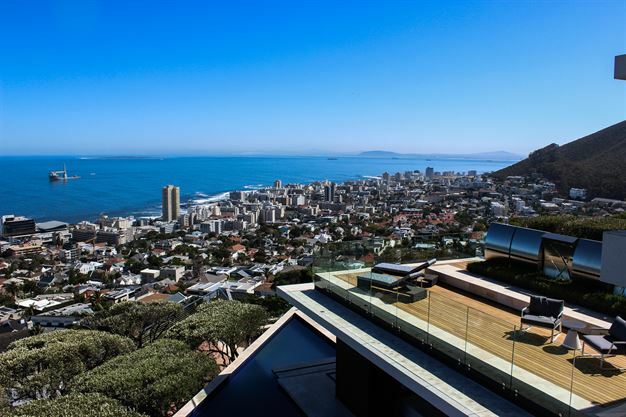 Set high above Sea Point, in the embrace of Fresnaye, is an exclusive villa made for the kings and queens of the world. 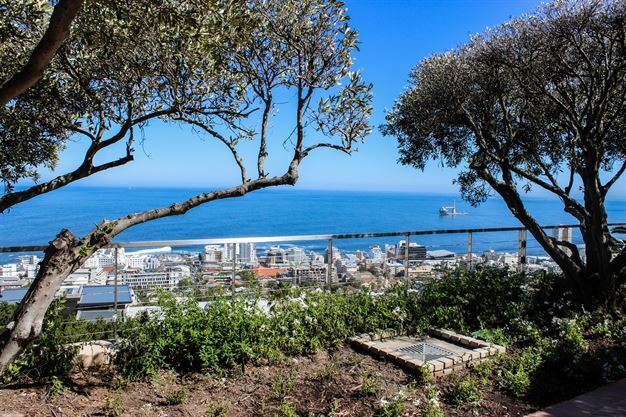 Moondance Villa is not only an 8-bed luxury accommodation - marked at R130 000 a night in peak season - but it's also a quiet spot to escape not only Cape Town's windy weather but also the hustle of city life, without being too far removed from its attractions. 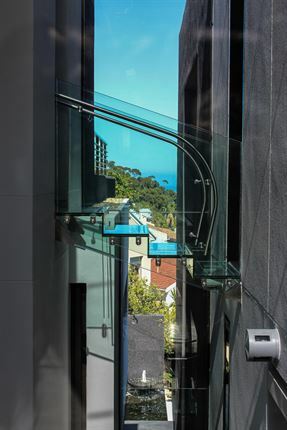 The house has enough balconies to make Romeo and Juliet jealous, and if you have a fear of heights these see-through steps will leave your heart racing. But what do you get for that price tag? 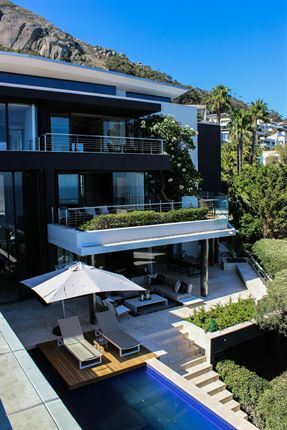 Besides exclusive use of the whole villa's four en-suite rooms and its grounds plus stunning views of the ocean, the house has its very own private gym - the biggest on the Atlantic Seaboard - cinema, pool, a 60-year-old olive grove - perfect for weddings - and includes breakfast, stocked bar, butler service and your very own private cook. 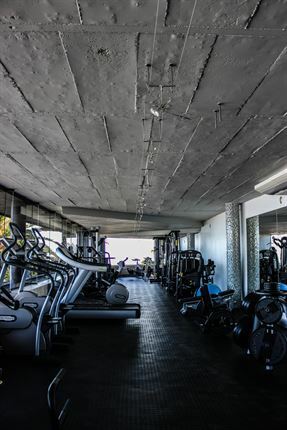 You'll have no excuse not to stay in shape while on holiday. 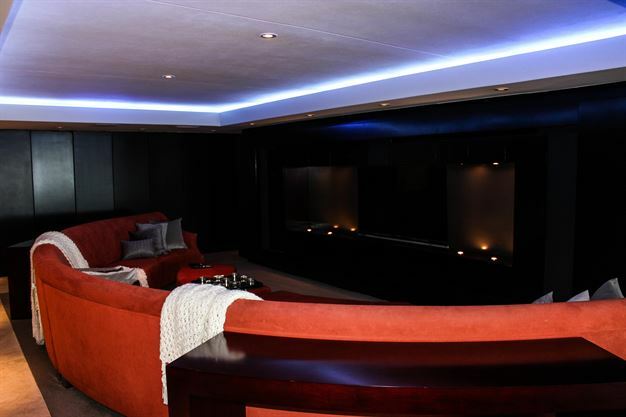 No loud people or ringing cellphones in this cinema - perfect for snuggling up to a romantic movie. 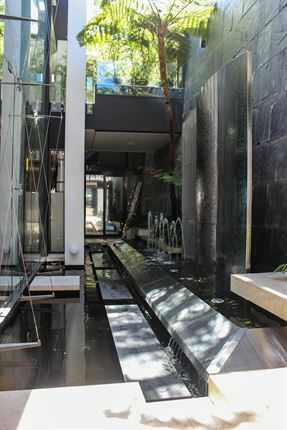 The house itself was designed by well-known South African architect Stefan Antoni and is actually one big inside water feature that flows throughout the house and into the koi pond. Again, this place has so many balconies! 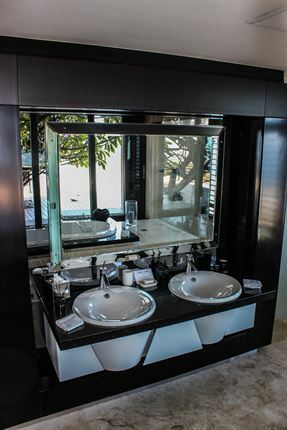 Moondance is also conscious of the water crisis in Cape Town and luckily has its own natural spring and borehole and the decorative water inside the house is all recycled. Bath plugs have also been taken out and guests are advised that no baths can be taken. 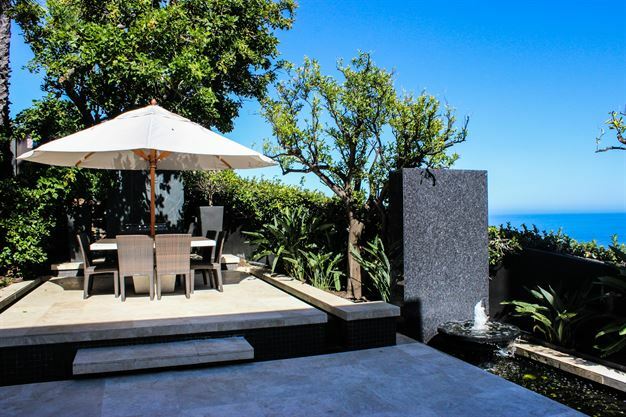 With its own piano in the waiting for musical maestros, the villa is also available to rent out for events like weddings and exclusive parties - provided you have the cash to splash out. 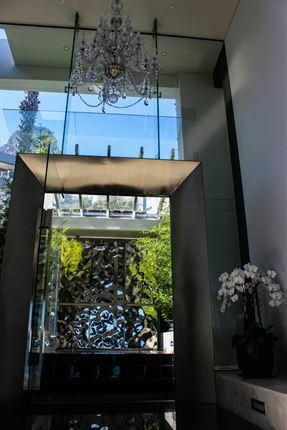 At the entrance you're greeted by a massive steel door that could keep out the Mongolians and high ceilings are incorporated throughout the villa. 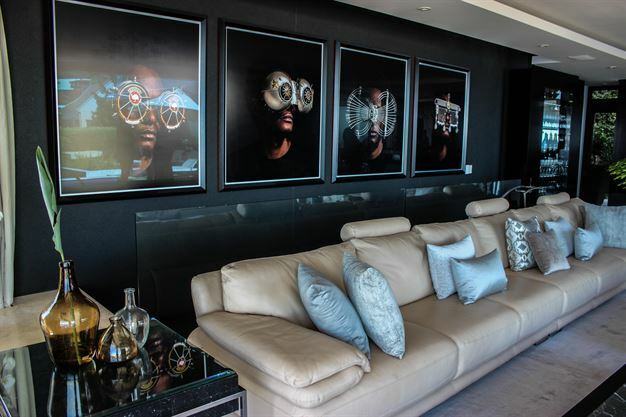 The whole house also serves as your very own art gallery, filled with contemporary African art from artists like Cyrus Kabiru, whose artwork hangs in the famous Zeits MOCAA. 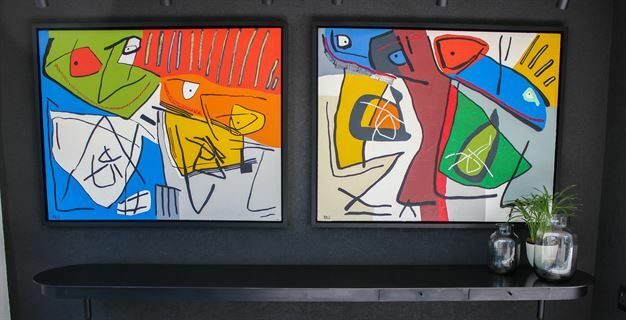 Moondance is a perfect spot for art connoisseurs. 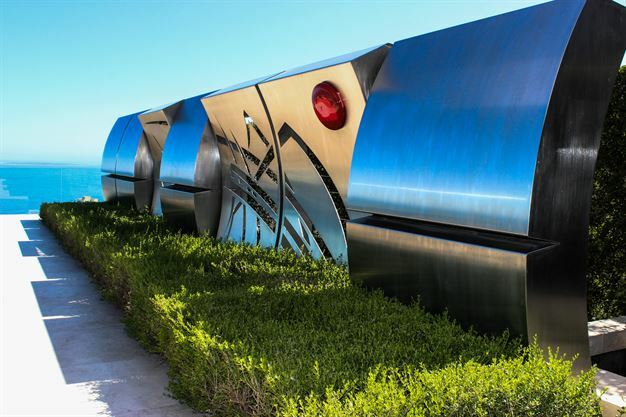 The artworks on display aren't limited to paintings - and includes massive sculptures like this one.